Splunk is to the Internet of Things log data as Glassbeam aims to be for IoT machine log data. Though the Santa Clara, Calif.-based company, which was founded in 2004, had its origins with logging for data centers, for 2018, its focus is on hospital imaging equipment that can cost hundreds of thousands of dollars. Customers, which include hospitals as well as manufacturers themselves, use the data to reduce downtime, track utilization and discover when staff needs more training to use the machines more effectively. “Our cloud platform can mine that data about how a machine is working so that unplanned events become more planned maintenance. With our model, if you plug in five MRI machines and five CT scanners, you are saving $3 million to $4 million in revenue reclaimed with uptime, then you can also save hundreds of thousands of dollars on maintenance,” Pandit said. Harbor Research projects that leveraging complex machine data from healthcare imaging equipment will produce $11.1 billion of potential revenue value by 2022. 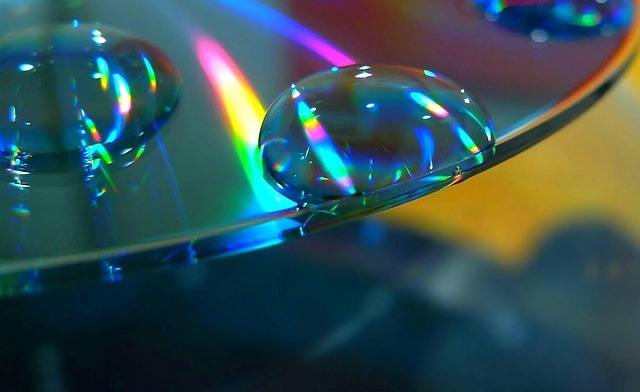 It maintains that most users only scratch the surface of the full value of their machine data. New tools employing analytics to understand a machine’s use and behavior can improve productivity, uncover operational risks and help improve security. These tools, however, require the ability to normalize different data types and fuse diverse data sets. “The ability to detect patterns from aggregating large-scale sensor and complex machine log data is the holy grail of Smart Systems,” it states in a research report. Pandit describes the Glassbeam platform as three steps: data ingestion, which can be streams or batch files; transformation and analytics. The Glassbeam agent is a small Java-based program powered by PTC ThingWorx, including an ActiveMQ broker to listen to real-time messages and provide secure data transfer to the Glassbeam Analytics cloud. This agent can run either on the gateway server or on the cloud. This data is about the machine itself, not sensitive patient information. The SaaS platform uses Semiotic Parsing Language (SPL), a domain-specific language to parse, tag, model and store data. It can handle more than 3,000 formats, which can vary not only across logs, but also within a single log file, including CSV, JSON, and XML to semi-structured data like tables, name-value pairs, Syslog formats and unstructured text, it notes in a blog post. For instance, room temperature is critical factors for proper operation of MRI machines. Depending on historical batch data can be problematic and lead to downtime. Real-time alerts, however, can warn of temperature fluctuations and prevent downtime and equipment damage. The platform and applications on top of it run on Amazon Web Services though they can run on other clouds or on private clouds inside a firewall. In addition to its own technology, Glassbeam uses Apache Cassandra and Vertica for data stores, Solr to index data for search, and integrates with Spark for machine learning. It will be adding integration for Kafka in the first quarter of 2018, Pandit said. “Glassbeam sidesteps the current market noise and obsession with the IoT by viewing core machine and device manufacturers’ analytics needs as a unified challenge that can be addressed by a single, scalable, end-to-end solution,” Harbor Research states. Glassbeam will be compared to Splunk, Sumo Logic, Loggly and others as they branch out in the types of log data they analyze, according to 451 Research, as well as data-streaming and complex event-processing technologies from vendors such as TIBCO, Software AG and SAP. It predicted its opportunities lie with a tighter focus on IoT and edge analytics. 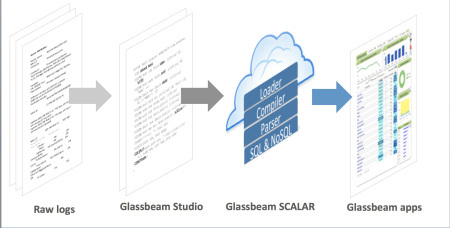 To shorten the time it takes developers to build apps with SPL, Glassbeam developed Studio, a graphical development environment with three building blocks: data preparation and transformation; app visualization; and cloud enablement. Its search application, Glassbeam Explorer, combines full text and parametric search, a log viewer and configuration change explorer. Its edge computing technology, Glassbeam Edge, includes a resilient, fault-tolerant architecture based on message bus and asynchronous processing; a programmable parsing engine, and the ability to change context, parse, and apply event-based rules on-the-fly. And to work more closely with healthcare organizations, it recently unveiled its Clinical Engineering ANalytics (CLEAN) blueprint to shave time off implementation.